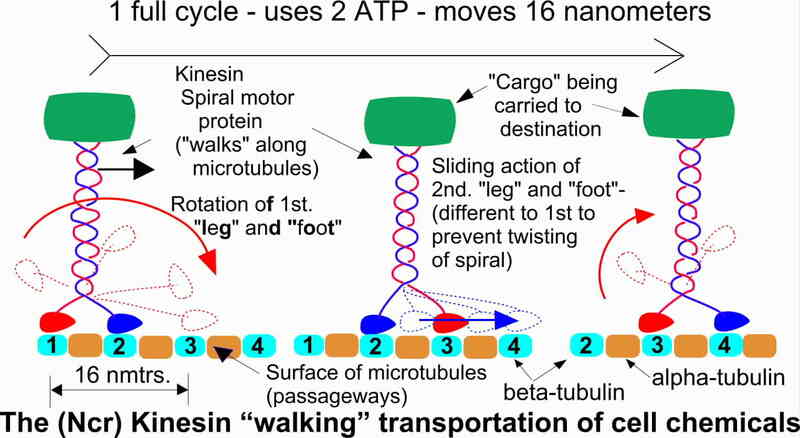 THE AMAZING "WALKING" KINESIN TRANSPORT OF CHEMICALS WITHIN EVERY CELL! The many chemicals within a cell have to be transported from their present location to where they are required. How does the cell do this? (a) They act like a skeleton frame for the shape of the cell. (c) Yet another use is to act as pathways by which these chemicals in the cell are transported. The method of transporting is absolutely amazing. 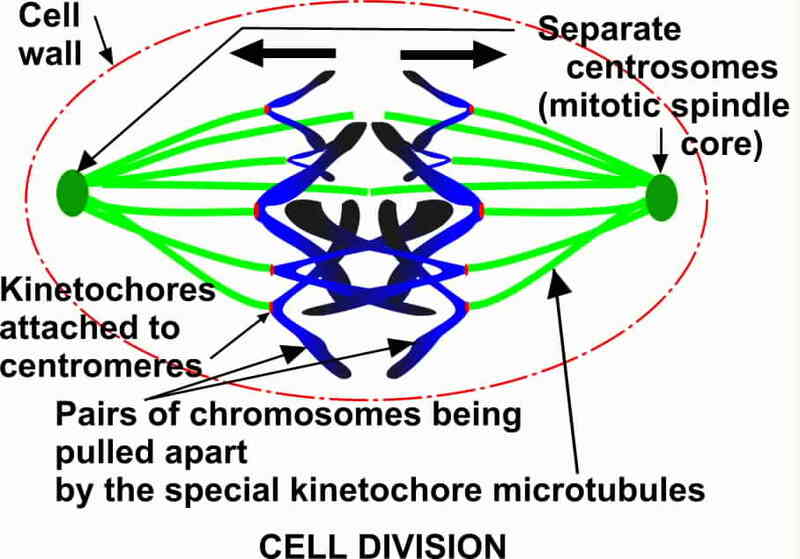 They are carriedfrom their point of manufacture to their correct destination on the top of a bundle of chemicals that actually WALK along the microtubules. One might question how these walking transporters know which particular chemical it should pick up, what path it should follow to get it to the right destination, and when it should unload it? Biochemists might take some time to get an answer to those questions! They have actually attached minute measuring devices to a transporter to see what force it requires when it moves. Remember that many thousands of these minute "walking machines"are in every cell of even the most "primitive" organism. These complex chemical bundles could not possibly have evolved their amazing walking system of transporting chemicals within cells. I give below the amazing video clip of this walk which was downloaded from http://www.mpasmb-hamburg.mpg.de/ktdock-click here for site with kinesin walk videos It is 204Kb but WELL worth the time taken to download. Those who have seen this video have been stunned. It makes a huge impression which they will never forget! The load is carried on the top of the stem but is not in this clip. Permission has been given to download and use for articles, talks etc. The original site given above also has a better definition video. It is 2.2mB to download and zips up to 4Mb.